Drones as a tool for time-lapse motion art? In fact, drones may be the perfect tool to create a time-lapse tour of a city like Mexico City — home to 21 million and one of the largest metropolitan areas in the western hemisphere, noted DIY Photography when it recently featured a stirring four-minute hyperlapse exploration of Mexico City’s iconic landmarks and cityscapes by aerial filmmaker Tarsicio Sañudo. Today we spotlight Sañudo’s film along with two other innovative motion projects — a time lapse from photographer Flemming Bo Jensen made from every single frame he shot over the course of two music concerts, as well as a mind-bending animation made from Google Earth Images. “Long before European settlers hit the shore of New England, Mexico City had become the center of the Spanish empire in the Americas with a bustling cultural and commercial activity,” notes Fstoppers, adding, "Today, Mexico remains one the most important cities in Latin America, and Tarsicio Sañudo produced an interesting drone-lapse video that captures the most iconic landmarks of his hometown such as the old colonial town (Zócalo), the cathedral, and the Chapultepec Park.” Among the scenes Sañudo captured: the eruption of the 18,500-foot Popocatepetl volcano in December. Follow Tarsicio Sañudo’s work on his website and Instagram account. The 1,564 pictures in this video represent every single frame Jensen shot. “I shoot mostly on single shot mode, except for during strobe lighting, so that is a shutter click roughly every 3.5 second,” he noted. He used Fujifilm X-T3 and X-T2 cameras with Fujinon XF16mm f/1.4 and XF35mm f/1.4 lenses. “I was using both cameras at the same time with one hanging on each shoulder, so there are obvious jumps as I swap cameras, from the 16mm to the 35mm view and back again,” he notes. “‘Epoch’ is a visual representation of our connection to earth and it's vulnerable glory. Our time here is esoteric, limited and intangible. The fragility which exists in all aspects of life is one thing that is certain. 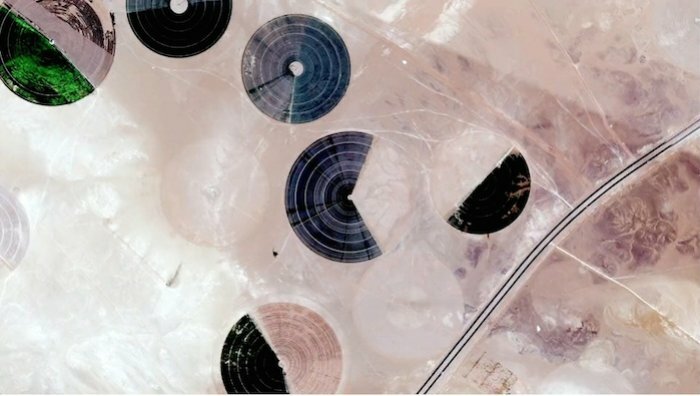 We are brittle, and so is Mother Earth.” So writes Irish director and animator Kevin McGloughlin, whose two-minute stop-motion animation is made entirely of Google Earth photos. “When flashed one after the next, buildings and roads form circles and squares, while dozens of cul-de-sacs appear to elongate and morph as they flash on screen,” noted Colossal recently. McGloughlin spent months sourcing the images and piecing the film together; for sound, he used audio samples from NASA. “This one almost killed me,” the filmmaker wrote at his Instagram page. The film bears a resemblance to one we featured last year — “Arena,” which also utilized Google Earth-sourced images. That film was created by Kevin McGloughlin’s twin brother and collaborator, Páraic McGloughlin.